What does the IP designation means on our qualified fans? This time we are going to talk about what the IP designation means on our IP43, 55 and 67 qualified fans. 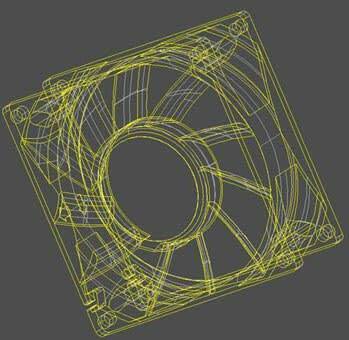 The factory wanted me to discuss the advantages of our IP qualified cooling fans available at YS Tech. We have Twitter posted YS fans displaying their IP qualifications in the past, but that has been some time ago. So here’s enough information to make you sales professionals dangerous! 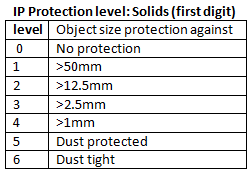 The IP Code, International Protection Marking (IEC standard 60529) sometimes interpreted as Ingress Protection Marking, classifies and rates the degree of protection provided against intrusion (body parts such as hands and fingers), dust, accidental contact, and water for mechanical casings and electrical enclosures. It’s published by the International Electrotechnical Commission (IEC). Probably more than you wanted to know, but it’s always good to know where this stuff comes from. In an attempt to convince you this is not just mind numbing trivia, the standard aims to provide users more detailed information than vague marketing terms such as waterproof. The digits (following “IP”) indicate conformity with qualifications I’ve summarized in the tables. Where no testing has been done for a particular protection rating, the digit is replaced with the letter X. 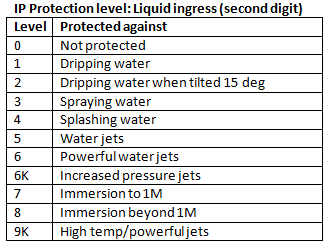 Zero (0) is used where no protection is provided. Shorthand for an IP designation could be written as IPX7. Where the “X” is a place holder until specific testing has been performed, replacing the “X”. OK, that’s all the boring stuff. YS Tech is proud of our fans which are qualified to display IP levels of: IP43, IP55 and especially IP67. As you can decipher, the IP67 is a very robust designation – being dust and waterproof (to 1 meter). Are you curious what a waterproof fan looks like in action? I’m told by headquarters Engineering those fans have been operating for FIVE years in those containers [the brown crud is rust!]. Is THAT waterproof enough for you guys? Of course the ONLY point in going to all the trouble making IP qualified fans is so YOU experts can go sell them! And that’s where I come in … just contact me and we can come up with a plan offering these robust fans to your customers in need!